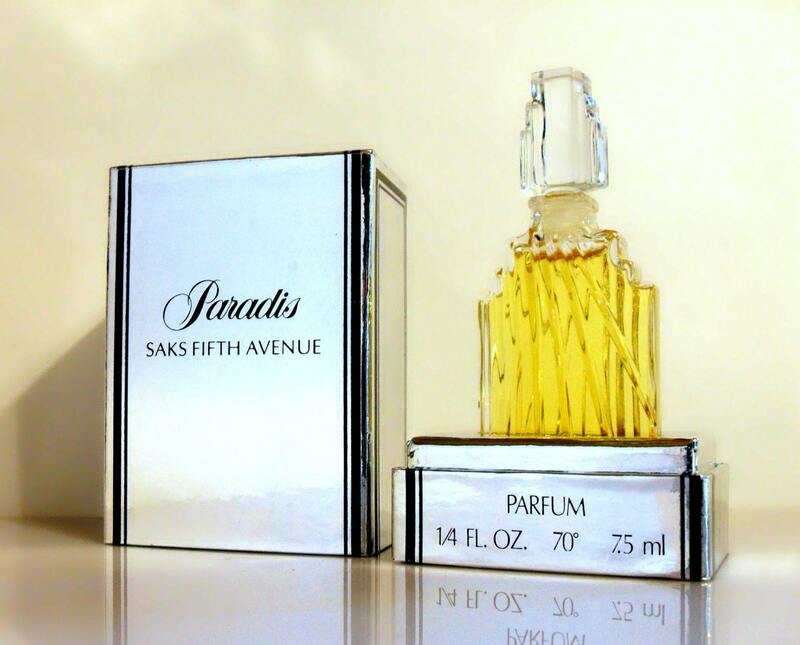 Vintage 1980s Paradis by Saks Fifth Avenue 0.25 oz (7.5 ml) Pure Parfum Splash and Presentation Box. 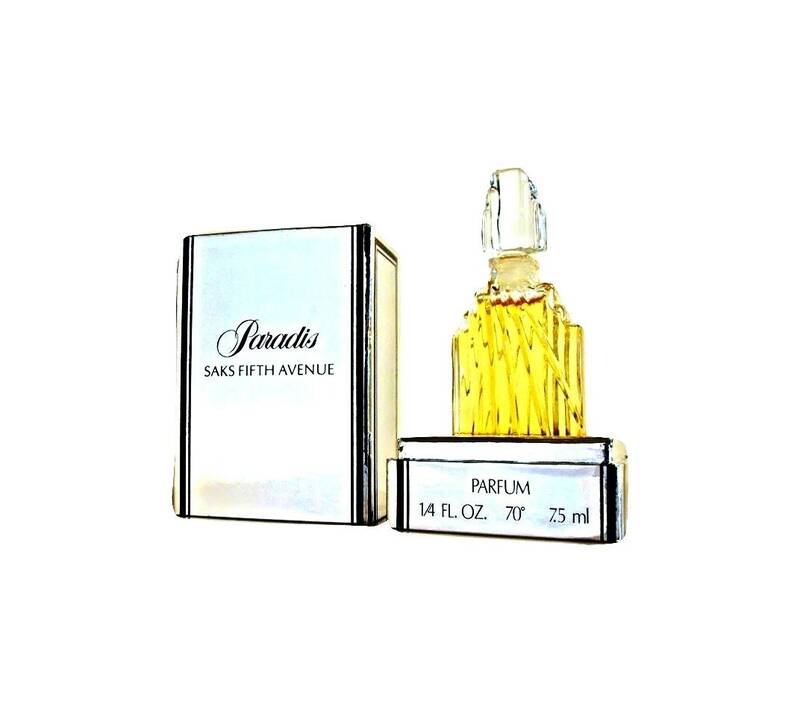 The perfume is housed in a gorgeous Art Deco style crystal flacon made by Pochet et du Courval. The bottle is full, but not sealed- see photo for actual fill line. I just tested the perfume and it still smells good and is wearable. The mirror like silver foiled box has adhesive from a label on the back. 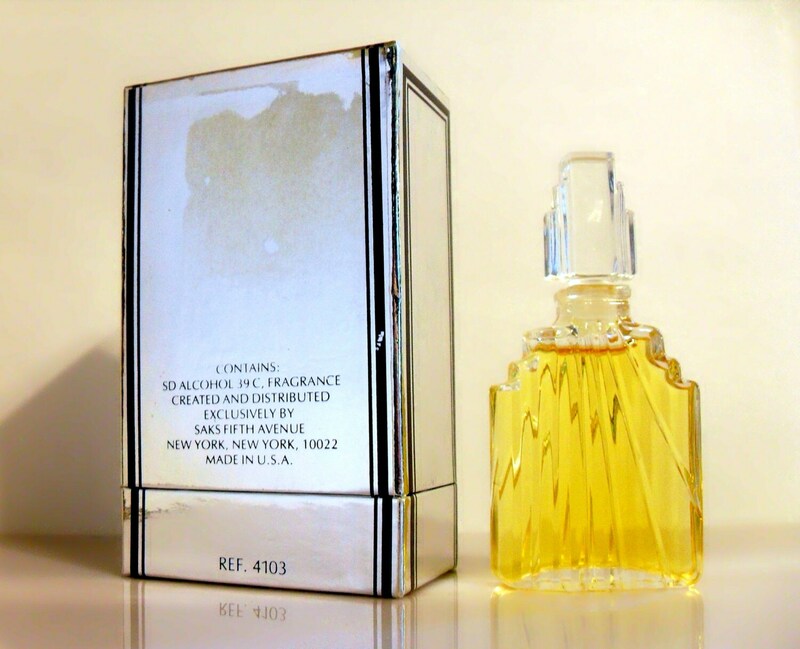 Launched in 1982, it is classified as a warm floral fragrance for women. 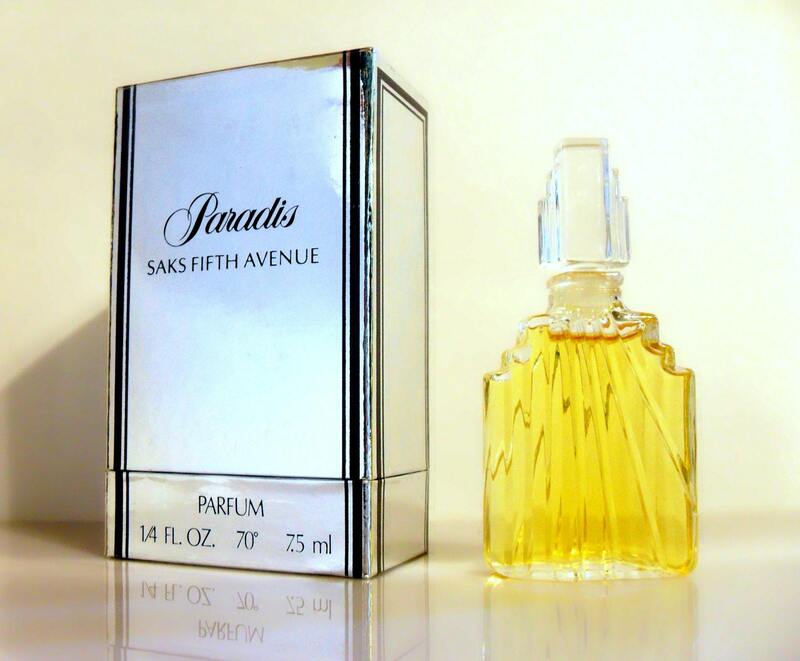 This fragrance has been discontinued for many years and is very hard to find.